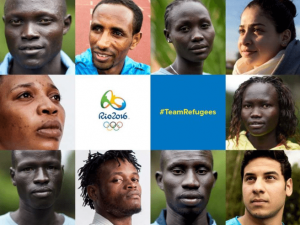 Olympic highlight: As the first-ever Refugee Olympic Team filed into Maracana Stadium, they were met by enthusiastic spectators who cheerfully welcomed them to the Opening Ceremony celebration. Displaced by not discouraged, these 10 athletes arrived in Rio ready to compete and, together, compete they did. 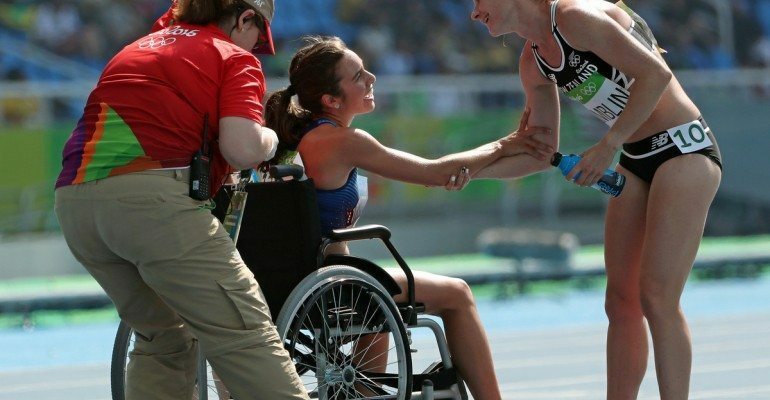 Olympic highlight: True olympic spirit shined when New Zealand’s Nikki Hamblin (left) and the USA’s Abbey D’Agostino helped each other out after colliding during their 5000m heat. 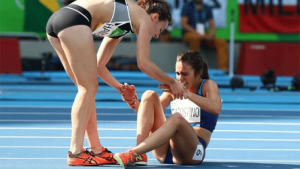 Though D’Agostino tore her anterior cruciate knee ligament during the collision, but both runners completed the race! 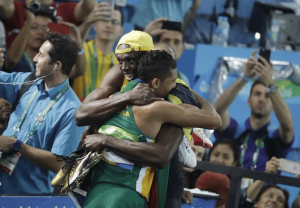 Olympic highlight: After Wayde van Niekerk stunned the world by breaking Michael Johnson’s 17-year-old 400m world record, sprint legend Usain Bolt made a point of going up to the South African and congratulating him personally on his achievement. Bolt may be one of the greatest Olympians of all time, but his actions proved he’s not above sharing the spotlight with an exciting newcomer! Some impress with their determination and refusal to give up in the face of adversity. Though Argentina’s Juan Martin del Potro ended up with a silver medal in the tennis final against Great Britain’s Andy Murray, he put up an almighty four-hour fight against the double Wimbledon and reigning Olympic champion. The two men embraced at the net, hugging each other at the end of their marathon match. Olympic highlight: Marc Gasol did not participate in the 2016 Rio Summer Olympics due to an injury to his foot. 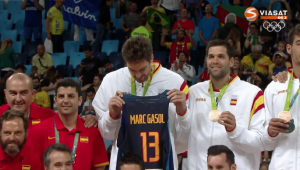 However, that didn’t stop his brother Pau from honoring him during Spain’s bronze medal ceremony, like any good big brother would! The Spanish team also recognized Fernando San Emeterio, who was in attendance as part of the selection. The Olympic Spirit continues and we’re excited to see what happens next! Tune into the 2016 Rio Paralympic Games taking place now through September 18th for more awe-inspiring moments of sportsmanship, resilience, and camaraderie. Cheers to Determination, Inspiration, Courage and Equality!